Precocious talent. How many times have you heard that expression, then see it crash and burn as the talent in question fails to deliver on earlier promise? Well the talent in the spotlight here has already delivered on the promise and seems poised to cement his reputation as a racing sensation having gained two major titles before the age of twenty. Born and bred in Norwich, Robert Lambert was virtually born on two wheels having started riding on his parents farm at the age of three. Like many wannabe racers, his first taste of competition at the age of six was in grass track racing, so often the breeding ground for speedway stars of the future. His first outing on cinders at the tender age of nine was a 250cc junior meeting at Eastbourne for which he required special dispensation to ride. The wins started coming naturally thereafter and culminated in his coming second in the U15s Championship in his first year of competition. With that under his belt an opportunity arose for him to go to German training camp as a means of fast tracking his career development in to the ranks of being a professional. However British rules, which require riders to be a minimum age of sixteen to join the elite league, frustrated those ambitions and led to him remaining in Germany and developing his competitive riding skills there. Whilst he may have been gone, he certainly wasn’t forgotten. 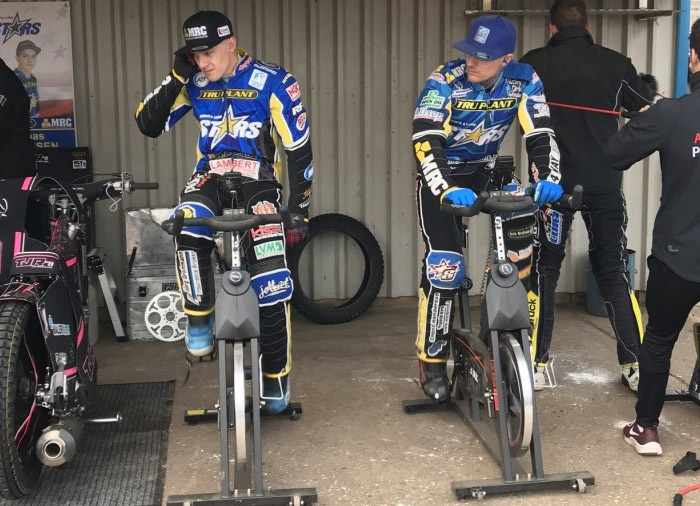 As his sixteenth birthday loomed large on the horizon, King’s Lynn signed the rising star to ride in their National League team with the intention of promoting him to their Elite League squad when the time was right. But such was their belief in the young star that in the end he came straight in at the Elite level, a feat only made partially possible by the fact that the team delayed their first fixture to ensure Robert was old enough to race! As with all aspiring speedway stars, their career leads them to ride with multiple teams in multiple countries and Robert was no exception. 2016 saw him ride not only in the UK but in Sweden and Germany too. But the UK saw the most of Robert in action and a season that finished with him claiming 3rd place in the Under 21 World Championship. Not bad for an eighteen year old. And so the dizzying spiral has continued and the precious talent has proven to be far from a flash in the pan. 2017 season was his best yet, starting with him claiming the Under 21 World Championship which had eluded him the year earlier. But Robert wasn’t finished there. Oh no. In the space of two short weeks he won not only the Under 19 European Championship, becoming the first British rider to do so, but then went on to win the Under 21 European Championship as well! Could it get any better one asked oneself? Well of course the answer is yes. In 2018 Robert has become the first rider in history to hold both the Under 21 British Champion and British Champion simultaneously. 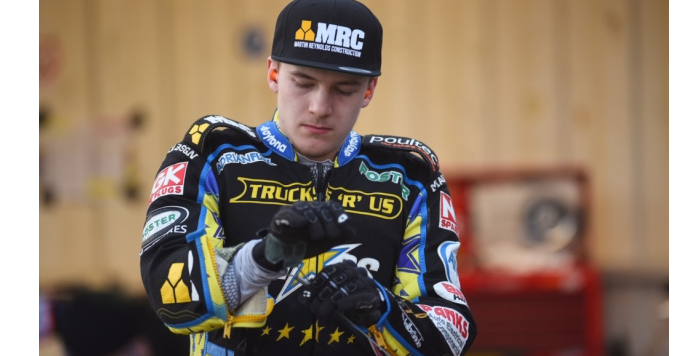 And if that wasn’t enough he now has a wild card entry into the upcoming British round of the FIM Speedway Grand Prix at Cardiff this July. 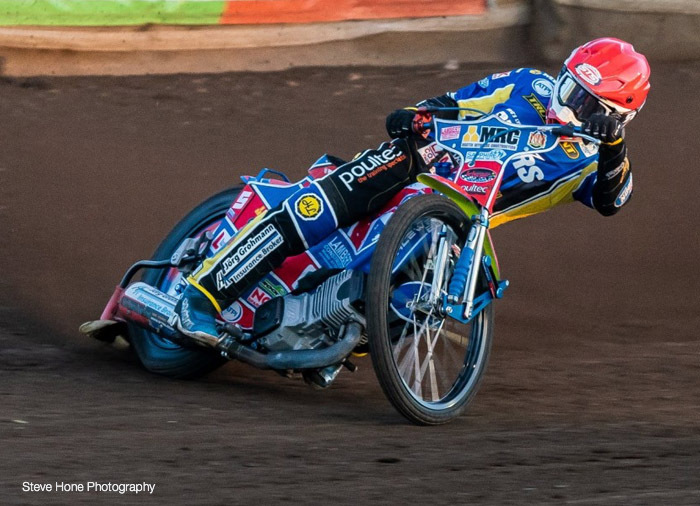 Where this young man’s talent will ultimately take him is anyone’s guess, but it seems likely that we could in years to come see him join such names as Greg Hancock, Tai Woffinden, Nicki Pedersen and Jason Crump. But for now we’re thrilled to say #wegothisback.